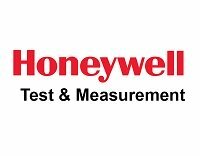 HONEYWELL TEST AND MEASUREMENT - Peerless Electronics Inc.
- Honeywell Test and Measurement division has now partnered with Peerless Electronics to bring you the latest in test and measurement sensor solutions. Together, we provide a host of solutions with load, pressure and torque sensors, displacement sensors, accelerometers and inline amplifiers. Click here for a comprehensive website full of solutions: https://measurementsensors.honeywell.com/pages/ProductInfo.aspx . - Or simply call us at 800-285-2121 or 516-594-3500.